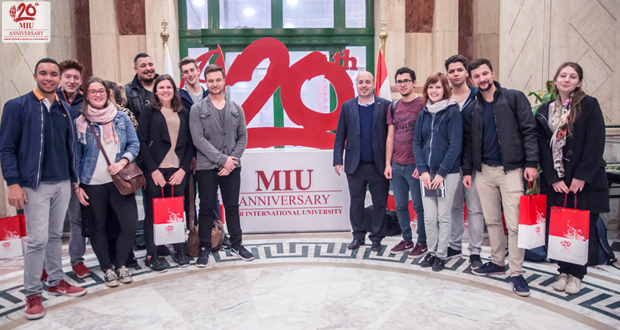 Misr International University’s Stock Market Simulation and International Office invited international students from Heilbronn University in Germany to visit MIU Campus and attend a mini stock market simulation event on December 14. 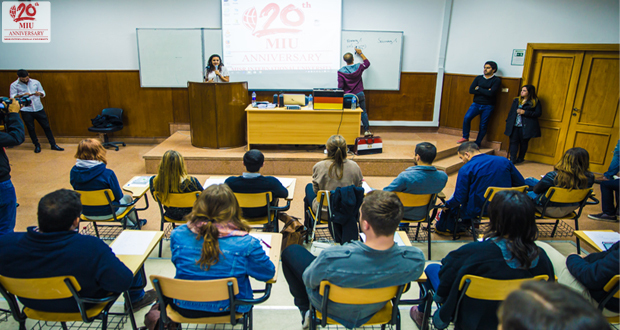 The SMS event aimed to give the students the opportunity to understand the basics of the stock market, as well as interact with MIU students in the virtual simulation game. MIU-SMS is a student activity club that helps students learn the basics of the stock market and experience the trading process. 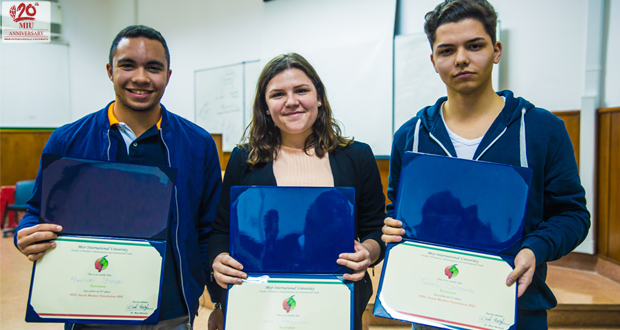 Three international students were awarded with “Best Investor” trophies at the end of the sessions, while all the students were granted certificates of completing the SMS sessions.